A talk by Richard Gaunt, writer a former journalist with teleSUR English. Tensions in Venezuela have reached new heights, and talk of intervention is once again emanating from the halls of Washington D.C. However, foreign intervention in Venezuela is nothing new. The United States has exerted a heavy hand in the affairs of the oil-rich South American country for decades, and has long seen it as a focal point of its political and economic interests in the region. Why should people in the United States be concerned about our government’s actions in Venezuela? What are the origins of Venezuela’s oil-soaked economy and what have its consequences been? Why is US foreign policy so focused on Venezuela? What is the Bolivarian Revolution? Is there an economic war? 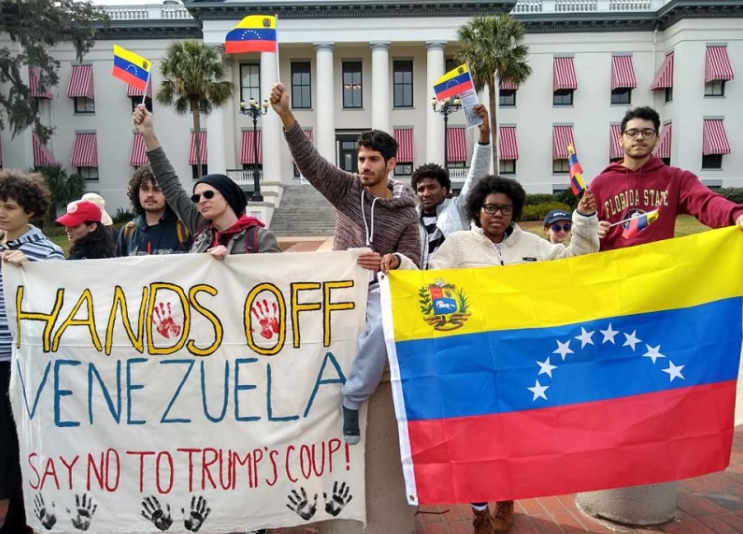 What forms have US intervention historically taken in Venezuela and elsewhere, and how can that history help us to understand the present day? For those of us in the United States, it’s important for us to know and discuss our government’s history in Venezuela and its role in the current crisis. Organized by Beyond War and Militarism, a joint committee of the Syracuse Peace Council and CNY Solidarity Coalition.